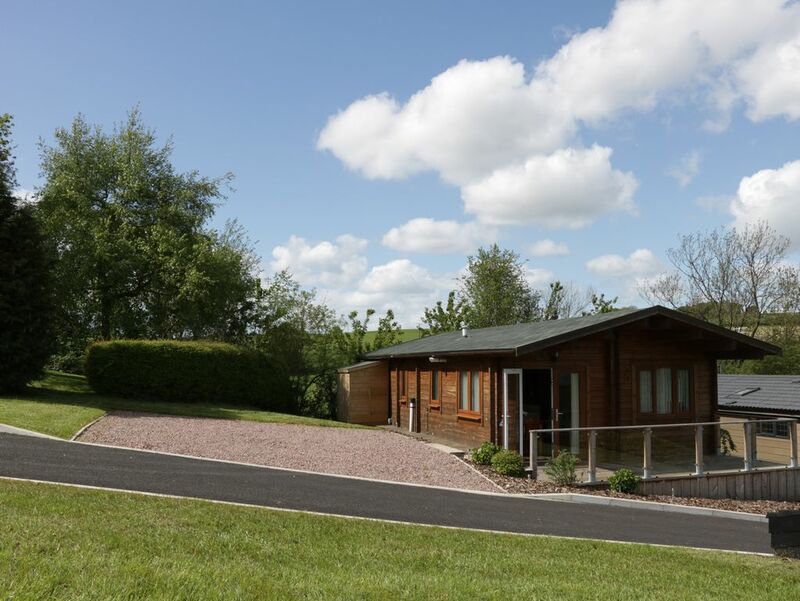 This is a detached lodge located near Stottesdon village in Shropshire, it can sleep four people in two bedrooms. Hill View Lodge 3 is a rustic-style cabin based near Stottesdon in Shropshire. It comes set with two bedrooms which include a king-size and a twin bedroom, as well as a shower room, the property is able to sleep four people. The accommodation also includes an open-plan living area which contains a kitchen, a dining area and a sitting area. Its exterior comes set with plenty of off-road parking as well as a decking with furniture. Hill View Lodge 3 is a homely base for those wishing to explore wonderful Shropshire. Amenities: Gas central heating, electric oven, gas hob, microwave, fridge/freezer, washing machine, TV, DVD, selection of books, games and DVDs. Fuel and power inc. in rent. Bed linen and towels inc. in rent. Highchair and travel cot available on request. Ample off-road parking. Decking with furniture. 2 well-behaved dogs welcome. Sorry, no smoking. Shop and pub 2.5 miles. Note: This property has a check in time of 4pm, and check out of 11am. Town: This Shropshire village benefits from the service of a shop and a pub serving food, as well as a centre for paint-balling and laser tag and access to a number of walking and cycling paths and trails. Shropshire's fine attractions are within reach from here, including the Shropshire Hills AONB, the market town of Ludlow, Brignorth and Ironbridge. Gas central heating, electric oven, gas hob, microwave, fridge/freezer, washing machine, TV, DVD, selection of books, games and DVDs. Fuel and power inc. in rent. Bed linen and towels inc. in rent. Highchair and travel cot available on request. Ample off-road parking. Decking with furniture. 2 well-behaved dogs welcome. Sorry, no smoking. Shop and pub 2.5 miles. Note: This property has a check in time of 4pm, and check out of 11am.